Samsung Galaxy Note 5 : Everything You Need To Know. Phablet : a trend, a category, a mixture (Phone & a tablet) got bit of it's own flare when Samsung brought their first Note, back in 2011. It wouldn't be even wrong to say that Samsung truly invented this category. The First Samsung Galaxy Note quickly captured people's attention as it was capable of doing things like a Smartphone, but also had some uniqueness that gave it the abilities to act like a Tablet(If you consider Multitasking). Well Since then year after year, Samsung is constantly updating the "Note" lineup to offer their customers with the best in the market. 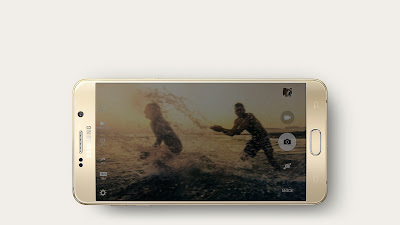 Just this Week, Samsung unveiled "Samsung Galaxy Note 5" at their unpacked event. So how does it look like? Well take a Galaxy S6 edge, put a straw in the headphone jack & blow as hard as you can, there you have it Note 5, but this time those edges are at the back ! Let's find out more about it. It has a 5.7 inch Super AMOLED Quad HD(1440 x 2560) display, which gives it an overall pixel density of 518 ppi. It is protected by Corning Gorilla Glass 4. It has a Samsung's Exynos 7420 64-bit Octacore processor (Quad-core 1.5 GHz Cortex-A53 & Quad-core 2.1 GHz Cortex-A57 cores). Primary camera is 16 MP(f/1.9) shooter with optical image stabilization, HDR Video & LED flash. It can record 4K @30FPS & has many interesting features like dual-video recording. While the secondary camera is 5MP(F1.9) shooter. Although Now You can live broadcast to YouTube directly while recording a video from the Camera App on Note 5. Clap Clap, Periscope! It is available in 32/64 UFS 2.0 internal storage options, although 128GB model is still not confirmed as it's written, "Storage options may vary by country and carrier" on Samsung's official website. It has a fingerprint scanner(PayPal certified), heart rate & SpO2 sensor along with the usual set of Accelerometer, gyroscope, proximity, compass, barometer sensors. It has Bluetooth 4.2, Wi-Fi 802.11 a/b/g/n/ac, dual-band wifi & Yes, Nfc support. It has microUSB v2.0 port, instead of the industry leading Usb Type-C port. It has a 3000mAh Non removable battery, while there's support for Quick Charging via USB, Wireless Charging & Quick Wireless Charging, check that ! It has a more tangible, a solid S-Pen stylus with added features. While Note 5 runs on Android Lollipop 5.1.1, it'll be among the first few devices to receive Android M, which is when Android M hits a global release. It is available in Black Sapphire, Gold Platinum, Silver Titan, White Pearl colours. As i previously mentioned, The Note 5 can be best described as a blown up version of Galaxy S6 edge only with those edges at the back & Also a device that fits well in footprints of it's predecessor Galaxy Note 4. This year's design is sleek & commendable as it clearly resembles Galaxy S6 or shall i say, an iPhone's design ? But now with Note 5, Iphone 6 plus can no longer be a problem for Samsung, in order to compete. It's even slightly smaller & thinner than last year's Galaxy Note 4. Galaxy Note 5 even has S6's design language accommodating a glass on both front and back, while there's a subtle curve at the back making it comfortable in hand. Well Unibody design makes the device look & feel robust, but there's a catch! Now you cannot replace Battery & i guess that is going to be a bummer for many road warriors. This trend even follows up with no expansion MicroSD slot & no waterproofing on-board. The glass back does make the device slippery & extremely prone to fingerprints smudges. Well tossing in a D-brand skin might get the job done. The Camera module found on Note 5 is the same 16-megapixel sensor with OIS found on the Galaxy S6. But there are some improvements in software, now you can even broadcast live to YouTube directly from the default camera app, by simply setting up your YouTube account. Seems like Periscope & twitch are going to have some competition. There are even some gimmicks like dual video capture. So What makes a Note, a Note ? 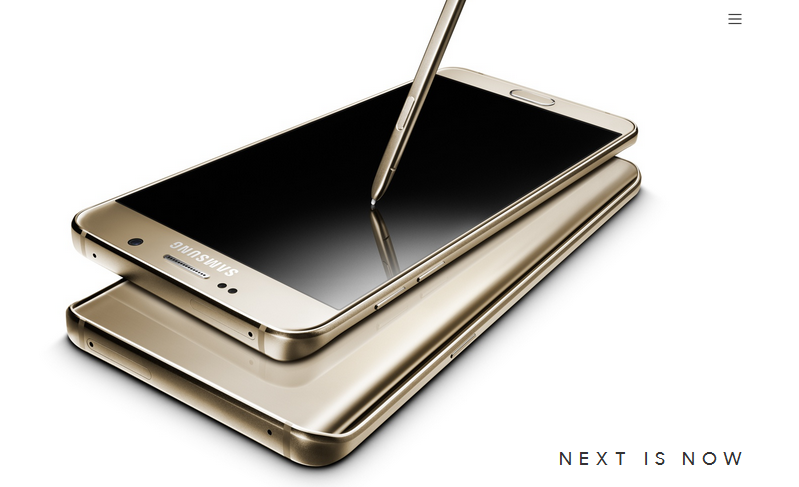 It wouldn't be be wrong to say a Note would be incomplete without an S-Pen, it's like a warrior without his sword. S-Pen is what makes a Note, a Note. The new S-Pen is now better both in terms of response & pressure sensitivity. It kinda reminds me of a ball point pen, haha. One of it's newest feature is, now you can pull the pen out of Note 5 with the new click to release gesture and instantly start writing on the screen without even turning on the display, then a note of whatever your write will be created & saved automatically as you slide in the S-Pen. There's even an option to increase the length of screen capture, simply scroll down capturing even an entire webpage if you need. This is going to be alot useful. 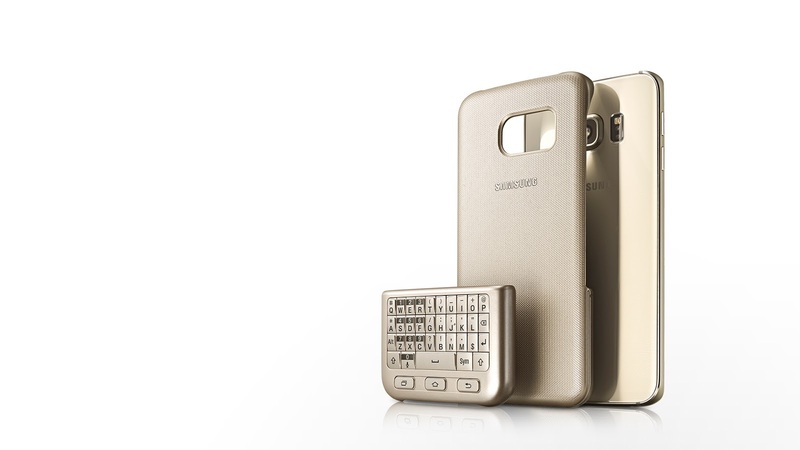 Apart from that, there's a weird old school approach with a keyboard case, why samsung? Is it necessary? I Don't know, everyone has his own taste. Samsung Pay makes it's way here, there's support for MST & NFC to make the payment. Touchwiz got a major refresh in Lollipop update this year & it has been the best Touchwiz experience so far. There's a lot going in here, Let's see if samsung succeeds with their newest Note addition : Note 5. Also See : Google to Provide monthly Security patches to all AOSP devices. Feel free to share this, if you liked it.